Ranking of affordable hair oils! It is uncommon in hair care to use 3-in-1 oil – for face, body and hair at the same time. This is what Dry Oil Amazing Oils is like, which has regenerative properties on all body parts. Furthermore, this oil will work for skin and all types of hair. What are its properties? Deeply nourishes skin and hair, provides intense and long lasting moisture, visibly rejuvenates, strengthens and regenerates cells. 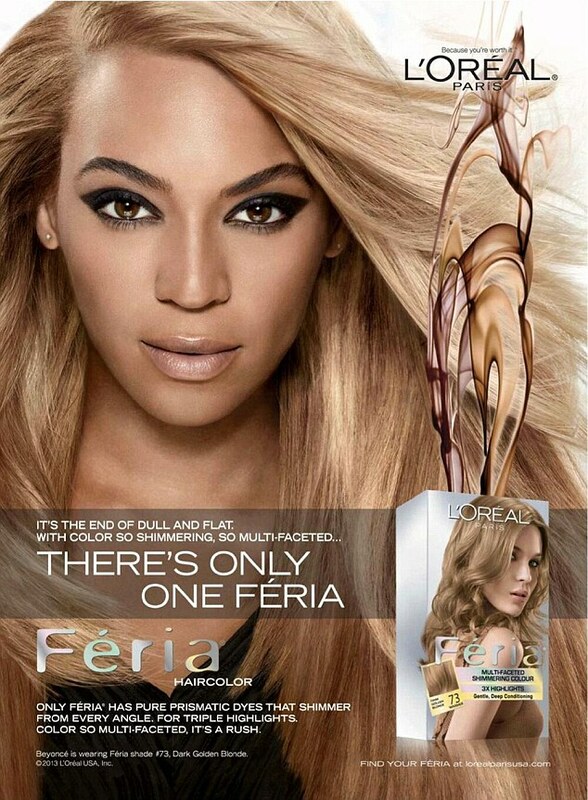 It restores hair with healthy gloss and elasticity. 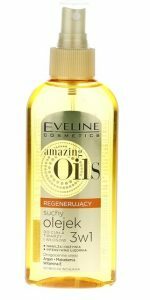 Regenerating Dry Oil 3-in-1 Eveline Amazing Oils – what should you know about this product? The versatility of use requires as complex properties. For the properties of Eveline Cosmetics Amazing Oils are responsible two natural oils in quite high concentration: Argania Spinosa Kernel Oils and Macadamia Ternifolia Seed Oil. When thinking about magical oils, you rather imagine more exotic extracts. However, these two are equally good. Argan oil provides regeneration, nourishment and elasticity to hair. While macadamia oil (drying oil) complements deficits of essential substances, moisturises and regulates level of sebum secretion. Beside oils, in the composition of Amazing Oils 3-in-1 is present also vitamin E and many silicones, luckily harmless. Regenerating Dry Oil 3-in-1 for body, face and hair in Amazing Oils line deserves to be appreciated due to its formula. Probably thanks to vanishing oil (macadamia) this product disappears almost immediately of the surface of skin or hair. It absorbs great and does not leave greasy layer. Its lightweight and smells pretty nice. Because of its atomiser Eveline Amazing Oils covers hair with aromatic mist. Dry Oil 3-in-1 Eveline is more of a mist than serum for hair with oils. Product has oils in the composition, but bottle equipped in atomiser makes its use similar to the mist. Just spray it on hair at some distance and gently rub it in. Regenerating oil Eveline Amazing Oils can be used on entire hair length or just on hair ends to protect them. This is a great advantage of this cosmetic. Price – very low. Purchase of Amazing Oils 3-in-1 is worthwhile, even if you take into consideration some minor flaws in its composition. Its method of application and perfectly absorbing formula is worth the money. Packaging – convenient. Regenerating Dry Oil Amazing Oils has plastic bottle, that perfectly lies in hand. Atomiser makes application easier, but the cap can be easily lost. This trick will make brushing your hair much easier. Every hair maniac knows it. How to curl and straighten to avoid hair damage? Vitamins that will take care of your health. How to maintain curly hair? Yves Rocher Natural Shampoo – boost volume of your hair. Why sleeping with wet hair should be forbidden? Are cosmetics harmful to your hair? Ranking of affordable hair oils! Copyright © 2019.